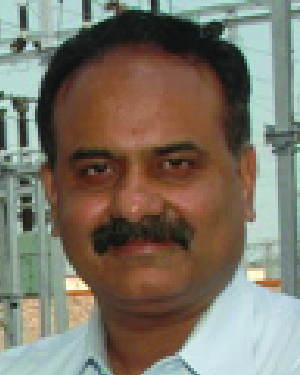 Dr. Ajay Bhushan Pandey is a distinguished alumnus of the Institute of Technology, earning his master’s in computer science in 2000 and his Ph.D. in computer science in 2003. Dr. Pandey is currently the managing director of the Maharashtra State Electricity Distribution Company Ltd. (MSEDCL), the largest distributor of electricity in India. Dr. Pandey’s success started early as a student, he succeeded in identifying a key problem in the area of team-oriented software development. He was a student intern for a major medical equipment manufacturer when he developed a technique called “Tightly-Coupled Engineering Teams” to manage “knowledge leakage” when a team member unexpectedly leaves the team. For almost two years he researched the technique and collected empirical data. He was able to show that his technique led to substantial reduction in knowledge leakage. A number of peer-reviewed publications came out of his research, and his concepts have become a part of the standard software development process at Boston Scientific. After Dr. Pandey completed his Ph.D. he continued on his long-term mission to improve his home country and returned to India to renew his previous work in the Indian government. In his current role as managing director of the largest electricity distribution utility in India, he manages 70,000 employees and provides electricity to more than 14 million consumers. In the first 18 months under his leadership, he successfully led efforts to reduce distribution loss of electricity and raised annual revenue. He was also appointed as a member to the Indian government’s energy policy committee, an honored and influential position. When he began his current role as managing director of MSEDCL, the state was facing its worst electric power crisis. Power availability was decreasing, even as power rates were increasing; power shutdowns became common, leading to riots across the state. Theft and mismanagement of electricity seriously acerbated this situation. He understood that unreliable electric power was seriously hampering the industrial growth of the state. Agriculture, urban development, and education were all suffering because of irregular power supply and massive shortage. He came up with an ingenious technology-based solution and designed an image-processing-based electricity meter reading system. The implementation required that it be judged fair to all parties. Dr. Pandey’s exposure to the fairness he learned in the Midwest came in handy with successful results. He had to play hardball with large industries with enormous clout, and even with other state governments — a testament to his tenacity to serve the people of his state. In naming Dr. Pandey as a recipient of the Distinguished Leadership Award for Internationals, the committee cited the role his exposure to the U.S. environment, and specifically his education and his experiences at the University, shaped his thinking in the past decade. He learned about the U.S. democratic society and egalitarian system and how citizens take their civic duties seriously and was involved in decision-making processes in the Midwest. He has used this knowledge to improve the lives of millions in India.